View More In Accordion Accessories. Welcome! 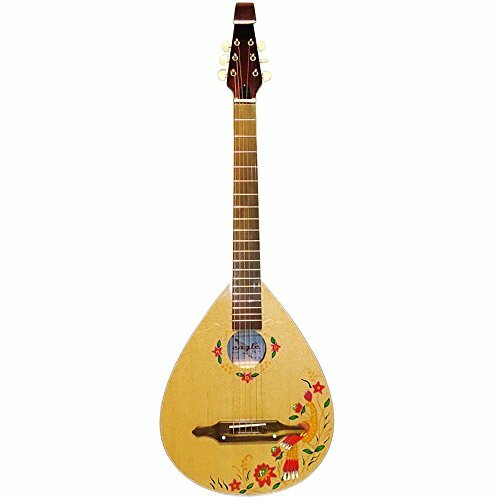 This Kobza is designed for solo and ensemble rendering of musical composition, as well as for study. This Kobza is absolutely new. It was made in Ukraine (USSR musical factory in the past) in 2011. The instrument is made of natural wood. Has handpainted picture on it. It has it's own passport, where the instructions for tuning and storage are given. Characteristics : Article: К-58 Sound range: From 1/2 from E in major octave to B in second octave. Scale, millimeters : 650 Number of strings: 6 Tuning: Instrument tuning should be done organoleptically according to tuning fork, which provides the oscillation frequency (440+5) hertz. KOBZA: - Sounding of first open string: E in first octave (E1) - pitch (interval between the sounding of open strings) major third between sounding of 2nd and 3rd strings: fourth between the sounding of 1st and 2nd, 3rd and 4th, 4th and 5th, 5th and 6th strings. Feel free to email me any questions. Shipping to Europe usually takes 9-17 days. Shipping to USA usually takes 14-28 days. If you have any questions about this product by Trembita, contact us by completing and submitting the form below. If you are looking for a specif part number, please include it with your message.